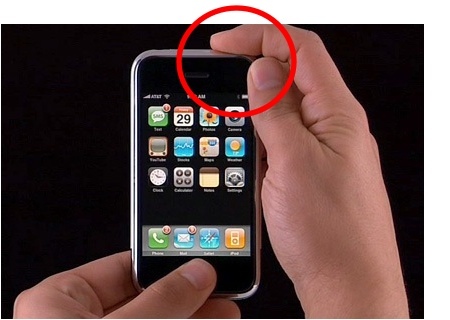 Here's a nifty trick to recalibrate your iPhone's home button if you're finding it little unresponsive or laggy. You don't need to take it apart for it. 1. Launch any app such as Stocks, Weather etc that comes pre-installed with your iPhone. 2. Press and hold the power button until you “slide to power off” appears on the screen. What's this is it a trick??? Will it fix homebutton??? Am I missing something here?If your home button doesn't work, use the power then the......home button!!!!! Your. Not you. My god you loser. Add somemore ads. What you talking about 'your' not 'you'? Oh wait, I see it now lol. I /was/ good at reading until I took an arrow to the knee. Amazing! I thought I had an hardware issue and then I can see this annoying problem is just another iOS bug. Thank you Apple. Nice trick, my home button is unresponsive occasionally. Tried it hopefully it will fix and i wont need to encounter the problem again. It seems to have helped my iPhone 4 home button issues. It responds now every time. thank you so much. I was thinking it was a hardware problem or something jammed under my home button. the thing was it was not all the time. finally a fix (and an easy one at that). Wow, seems to have worked for me too, but maybe it's just Placebo! :-) Anyways, the only way I think this could possible work is if the home button is an analog button, and the re-calibration changes the threshold. So as a small advice to people who say it doesn't work for them: try to lightly push the home button only during calibration to set the threshold to a lower value. My home button sometimes needed a couple or a few presses to work. Just did this trick, and I hope it will fix the problem. Haven't tested it yet, but I'm excited. Wow I've been to the apple store with this one and they said its time to upgrade!? I got angry stating it should last more than a year and stormed out! Lol will go back and show them how to do this... IT WORKS IT WORKS IT WORKS!!!!! Did anyone digg into what really happens?